Drea Schwaier throws with an abundance of velocity and power, and this pitch was no exception. The only difference this time around, however, was her catcher, Taylor Gubser, missed judged the throw and her right thigh paid the price for it. A loud thud was heard as the ball ricocheted off Gubser’s leg. The painful noise was quickly followed by a collective gasp from the crowd. 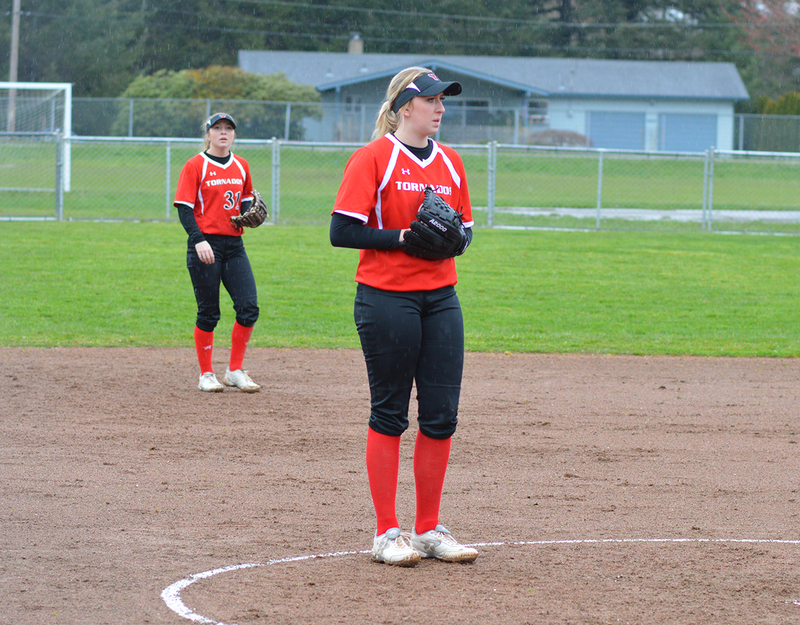 Yelm High School girls fastpitch coach Lindsay Walton immediately poked her head out of the dugout and inquired about her star sophomore’s wellbeing. Gubser, showing no signs of the blow, quickly shooed Walton off and proceeded to crouch back behind the plate, readying herself for the next pitch. Gubser is 100 percent catcher and knows full well when you slip on that gear, you expect to get battered and bruised from time to time. It just comes with the gig. Schwaier’s following toss is just as powerful, breezing by the batter and finding its mark. Strike three. Relay Schwaier’s sentiment back to Gubser and she quickly shines the light back onto her battery mate. It’s Schwaier who makes Gubser great she says – not the other way around. 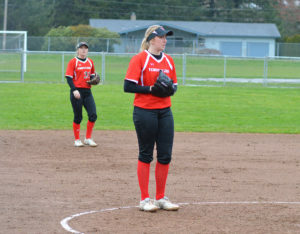 Last year was the first season together for the duo as members of the Yelm High School team, but the two had played together on a select team for a couple of seasons prior to becoming Tornados, so the bond had long been developed. A year ago was just the first time opposing high schools got to see them in action. 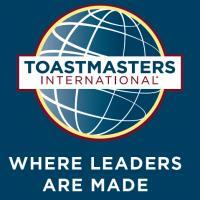 What they witnessed was a lot of victories by the Tornados. On paper, when you notice a team starts a freshman at catcher and a sophomore at pitcher you’d figure they were in a rebuilding process. More times than not, you would be right. This wasn’t the case for Yelm during the 2016 season. Schwaier and Gubser were simply overpowering, leading the Tornados to a 24-5 record, a 4A Narrows League championship and an appearance in the Class 4A state semifinals. There were just three underclassmen to be named first-team all-league in the 4A Narrows a year ago. Schwaier and Gubser were two of them. 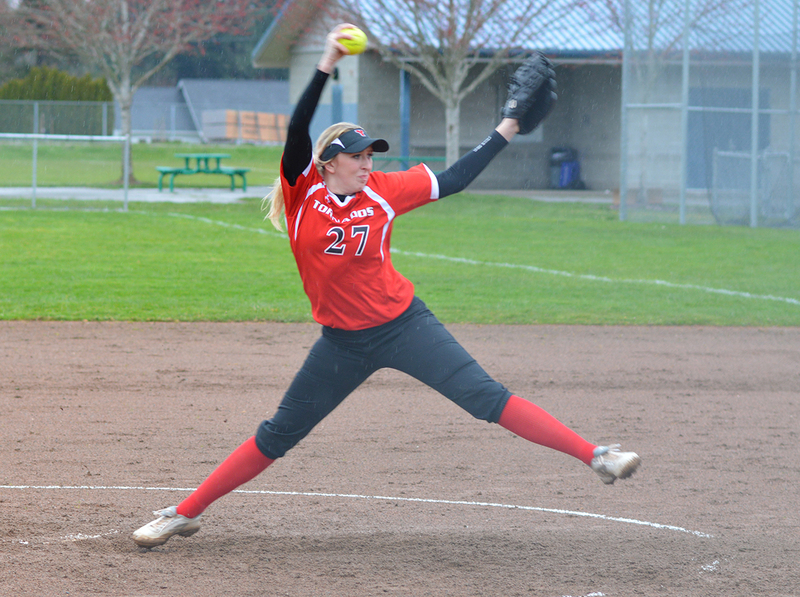 “They definitely are a dominant presence out there,” said Walton, last year’s 4A Narrows League coach of the year, about her pitcher/catcher combo. The two are poised for an even more spectacular run this season, making Yelm the clear-cut favorite in the newly-formed 3A SSC and one of the top contenders for the state title. 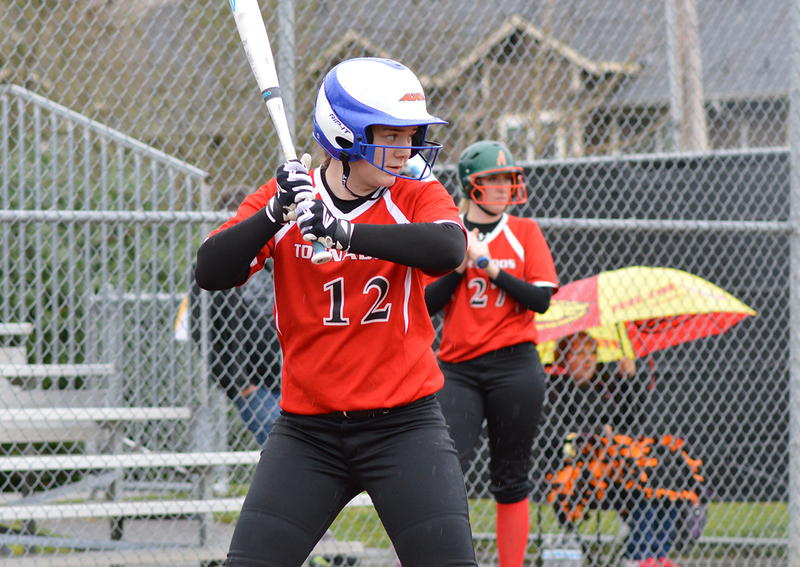 With Schwaier, Gubser and an offense chalked full of hitters, the Tornados have been as impressive as any team out of the gate this year. Schwaier held W.F. 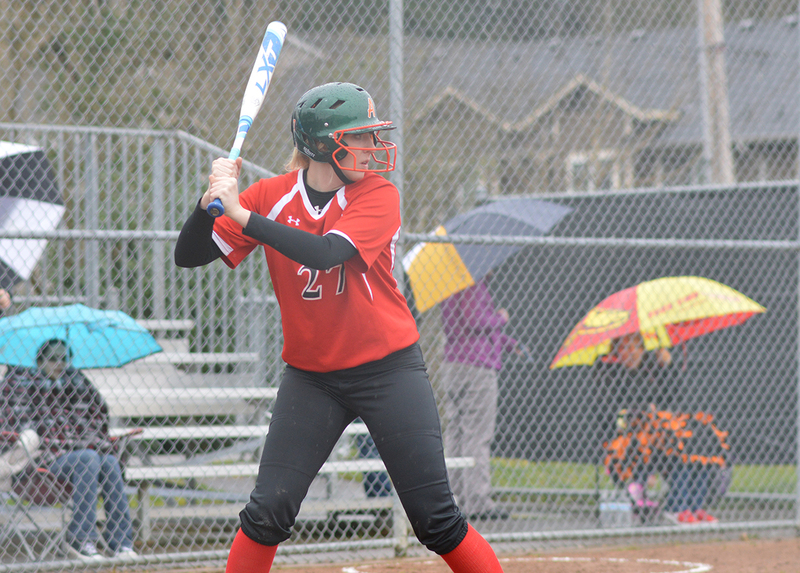 West’s powerful lineup to just one run in Yelm’s 2-1 season-opening victory over the Bearcats, who return a large portion of its lineup which went 28-2 a year ago and is regarded as one of the top 2A team’s in the state. In addition to wins over W.F. West and Capital, Yelm’s 4-0 start to the season also includes an 11-0 drubbing of Battle Ground, a 19-win team a year ago, and a 6-2 win over Puyallup, a 4A state playoff team in 2016 which knocked off the Tornados twice last season. “It feels like if this is our starting point what’s it going to be like later in the season once we’ve improved?” Schwaier asked. Don’t be surprised if the answer to that question comes in May and results in Yelm celebrating its first state title since 2004.